This game puts hockey excitement at your fingertips. 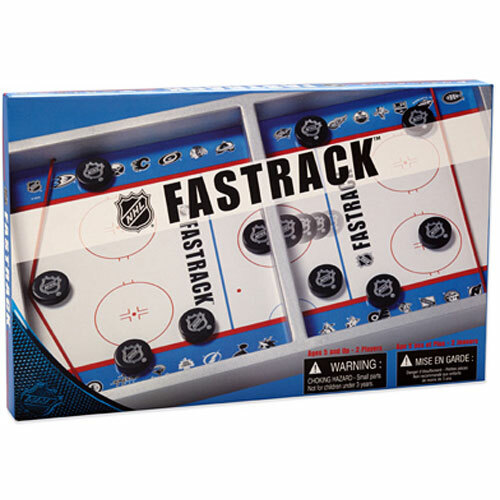 Use your fingers to power all 10 pucks to your opponent’s side of the rink. 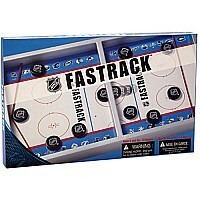 All it takes is speed, accuracy and a little luck to win. 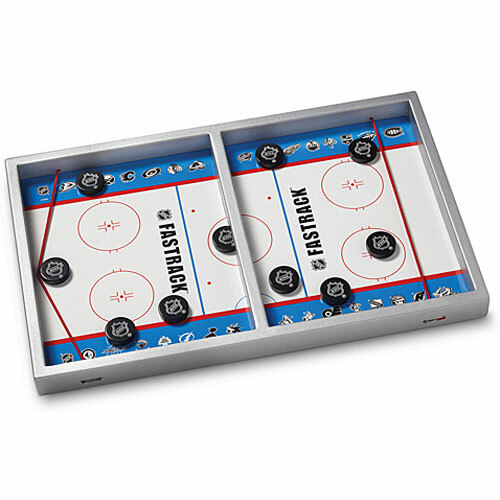 Endorsed by the National Hockey League, this wood-crafted dexterity game helps develop hand-eye coordination and fine motor skills. For 2 players. For ages 5 yrs-adult.